In California, coding is helping to make it simpler for food stamp recipients to learn whether their benefits are in peril. In New Orleans, it has eased tensions between frustrated residents and city officials about post-Katrina redevelopment. In Kansas City, Missouri, where citizens had been calling the city daily to get access to traffic studies, it has put that information online in an open data format for anyone to see. These are just some of the projects spearheaded by Code for America, a nonprofit organization that uses open-source technology to help citizens and local governments, and whose annual summit takes place this week in Oakland, California. Microsoft is a capstone sponsor of the event, and you can join the conversation at #CfASummit on Twitter, or watch it live. Code for America is one of several U.S. programs Microsoft is participating in that demonstrates the benefits of civic technology, especially in urban areas dealing with the problems of crowding, older infrastructure and tighter budgets for public services. Code for America’s “brigades” of 34,000 volunteers help to create apps and programs that improve local government services, like those in California, New Orleans and Kansas City. 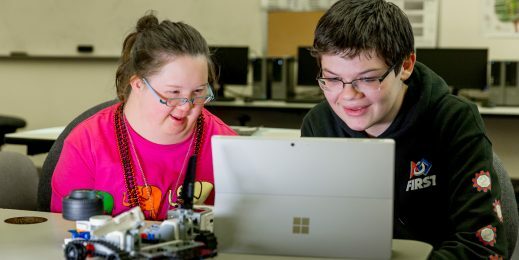 “We’re excited about the convening power that Code for America brings, and the best practices that are emerging from these brigades swarming around problems, and then sharing those results,” says Dan’l Lewin, Microsoft corporate vice president for Technology and Civic Engagement. Microsoft also is participating in “Envision America,” recently announced at the White House Smart Cities Forum. The nonprofit initiative is aimed at challenging and helping American cities to develop smart initiatives that tackle energy, water, waste and air challenges. Microsoft will provide a year’s worth of the Azure Government cloud platform and ongoing assistance to 10 cities to develop smart city solutions. It’s not the first smart cities project for the company: Since 2013, Microsoft’s own CityNext initiative, along with partners, has been working around the globe to empower cities to be more sustainable, prosperous and economically competitive. Jennifer Pahlka gives the opening remarks at the 2015 Code for America Summit. Another project is UI LABS’ City Digital, a Chicago-based consortium that will use the city itself as a test bed for new technology to solve urban problems. The first of its two inaugural projects is deploying a network of sensors to help reduce street flooding. The second is mapping the city’s byzantine system of underground pipes and utility lines to help reduce the amount of time streets are torn up for construction. Microsoft is a founding partner of the City Digital consortium, which also includes representatives from the city of Chicago, local research institutions and civic organizations, and support from companies such as Accenture, Siemens, Tyco, ComEd and HBK Engineering. Microsoft’s approach for working on such projects has been, and remains, community- and partner-oriented, Lewin says. In Chicago, for example, city officials know what areas are prone to flooding. But rainfall patterns are changing, with increasing frequency of high-intensity storms taxing the capacity of current storm water management systems, says Caralynn Nowinski Collens, CEO of UI LABS. One approach has been the installation of ‘green infrastructure,’ such as planting and permeable pavements designed to collect rainwater and reduce burdens on drainage systems. “Cities across the world are making these huge investments in green infrastructure – for all sorts of reasons, from aesthetics to storm water management,” Collens says. But there’s very little evidence to show the efficacy of these green infrastructure elements when compared to traditional “gray infrastructure” solutions, such as pipes and pumps, for example. The project combines the Internet of Things, cloud computing and machine learning. Sensors are being embedded in pavements, landscaping and subsoils of green infrastructure sites, and the data is being used to develop analytical tools that enable monitoring for potential flood problems and assessment of the green infrastructure’s effectiveness. Another urban issue that Microsoft is helping to tackle is above ground, on the streets. Microsoft is partnering with global nonprofit DataKind to support the Vision Zero movement to improve traffic safety. Vision Zero is an international initiative that aims to reduce traffic-related deaths and serious injuries to zero. A growing number of cities in the U.S. have signed on to the initiative and begun the process of analyzing their safety conditions and identifying opportunities to improve their environments through changes to policy and infrastructure. The DataKind Vision Zero project will combine data from multiple sources, including governmental agencies, citizens and the private sector, and apply techniques such as machine learning to identify behaviors and patterns to help cities determine which interventions are effective under what circumstances. “Our approach is a fairly traditional Microsoft approach of working with partners,” providing guidance and insight, says Lewin of the smart cities’ efforts around the U.S. But other aspects are not traditional. “The Microsoft of today and tomorrow is focused on cloud services and is committed to using open source technology to overcome local challenges. With these principles, Microsoft shares the central ethos of the civic tech community,” he says. Microsoft’s Technology and Civic Engagement group has deployed teams in cities including Boston, Chicago, New York, San Francisco, San Jose and Seattle to work on civic engagement initiatives.